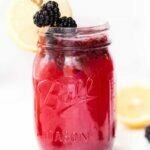 This sparkling blackberry lemonade is made with just 4 ingredients, is naturally sweetened and tastes amazing! 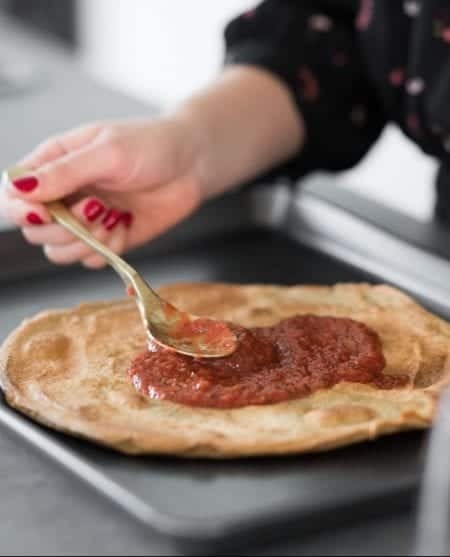 Can also be served boozy with vodka or gin! I can't believe how fast this summer is going! How is it already the middle of July!? I guess it's easy to lose track of time when it stays light until 8pm, the weather is warm, you're getting lots of sunshine and get to hang in the park with your friends! This week has been intense! 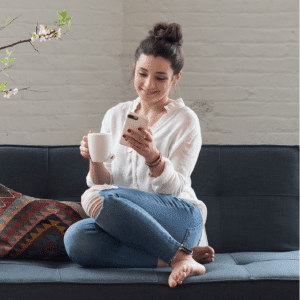 I was traveling the last two weeks, so whenever I get home it feels like crunch time. And also detox time. TBH I'm not the best at staying on track while I'm away (especially when it comes to wine), so my first week home is always a big adjustment for my body. One of the best parts of this week was having a lot of girl time! My mom came down for the beginning of the week and we went over to her friend's apartment for drinks and appetizers, then headed to an amazing dinner with two of my besties. It was such a blast – we laughed, talked and ended our night with a stroll in the West Village and vegan ice cream. Talk about the perfect New York night! Which brings me to this sensationally delicious Sparkling Blackberry Lemonade! I whipped up a fun video on Tuesday giving you 5 delicious summer drinks to try, but this one felt like it also needed its own blog post. I mean how can you go wrong with muddled blackberry syrup, fresh lemon juice and sparkling water?! I brought this to our ladies happy hour and everyone LOVED it! This recipe uses just 4 ingredients, is ready in about 15 minutes and it tastes incredible! 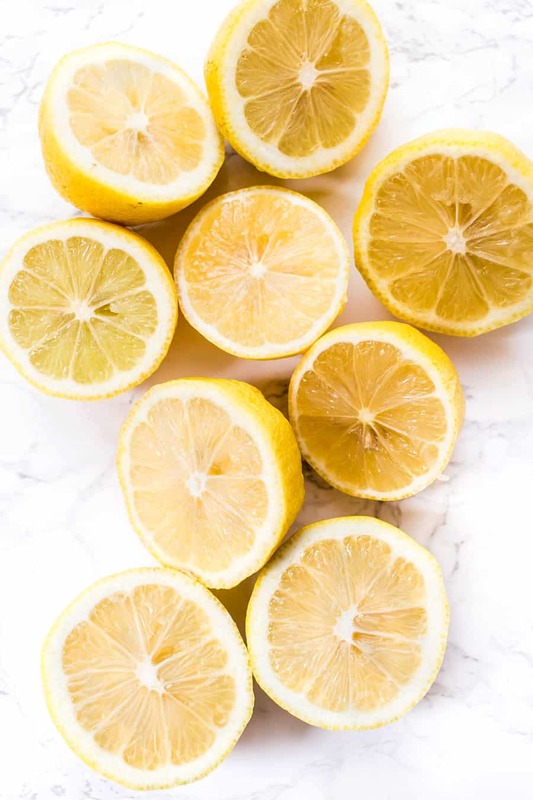 Like a fancy lemonade but without all the sugar. We start by simmering blackberries and maple syrup together on the stove. I like to mash my blackberries a bit so they release all their juices and you get this thick, sweet syrup that goes perfectly with the lemon juice! 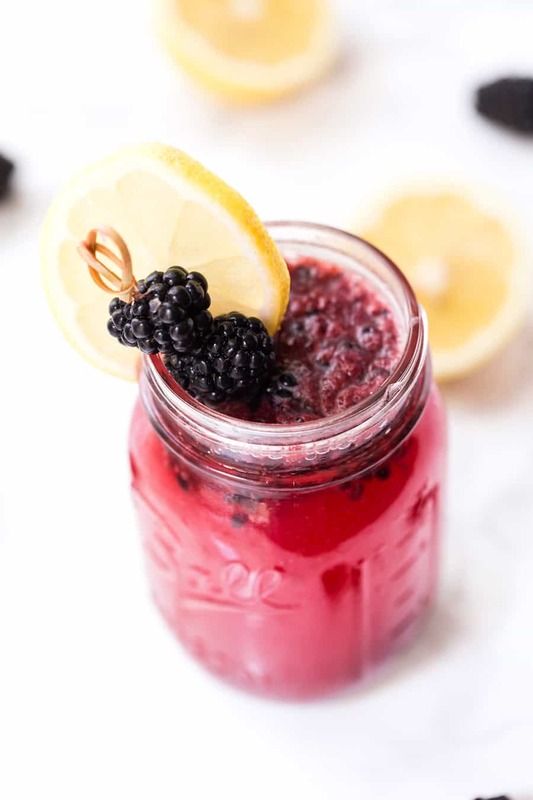 Once your blackberry syrup has cooled down, you do a layer of that in the bottom of the glass, topped with some freshly squeezed lemon juice and sparkling water (or seltzer). Pop in a straw and you're good to go! This drink is perfectly delicious as is and makes the most refreshing post-beach day beverage, but if you're headed to a cocktail party or are hosting a summertime soiree and want something boozy, you can absolutely serve it as a cocktail. I personally think it's best with a high-quality vodka, but I also think a gin or clear rum would also be wonderful. 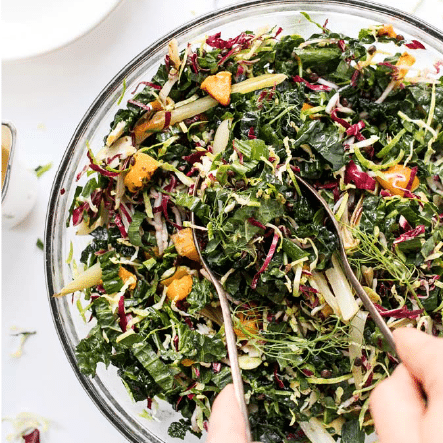 You could even make a big batch and serve it in a pitcher for your guests to enjoy! I have a feeling this is going to be your new summer drink of choice! 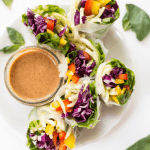 Healthy, refreshing, easy to make and even kid-friendly. Doesn't get better than that! Can't wait to see your pictures of this recipe! 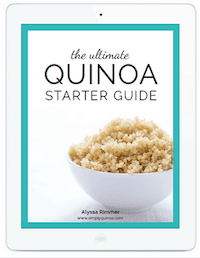 Make sure to tag me on Instagram using @simplyquinoa or #simplyquinoa 💚 this helps me quickly and easily find your photo and give you a little love in return! 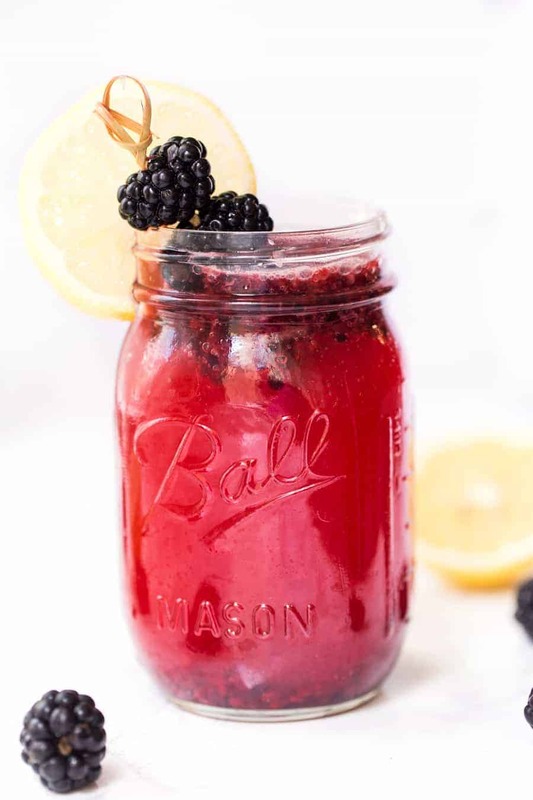 This delicious Sparkling Blackberry Lemonade recipe is naturally sweetened, packed with flavor and makes for the perfect summer mocktail! Add the blackberries and syrup to a small saucepan. 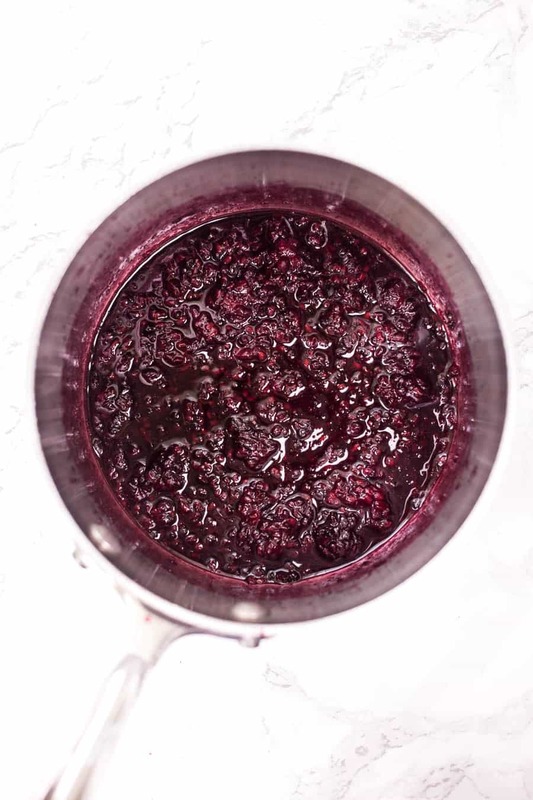 Bring to a low simmer and mash blackberries with a fork. Simmer for 5 - 10 minutes. Remove from heat and allow to cool to room temperature. 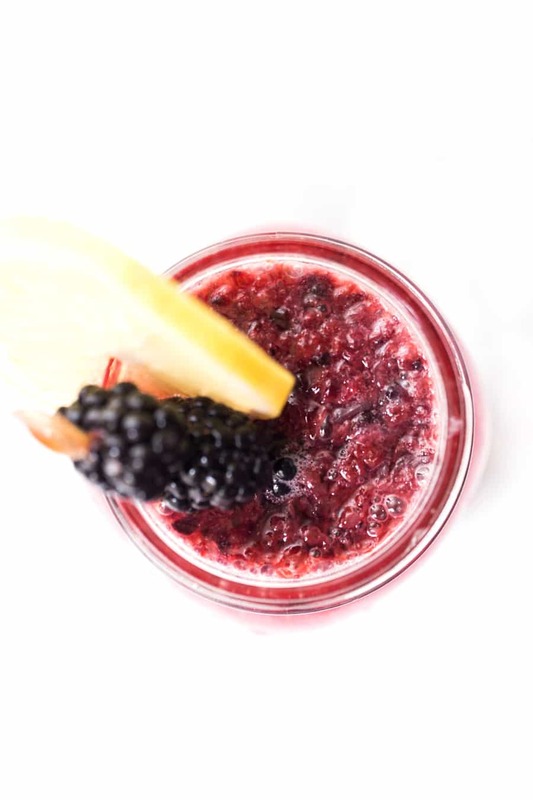 Divide blackberry syrup and lemon juice between four glasses and top with sparkling water!